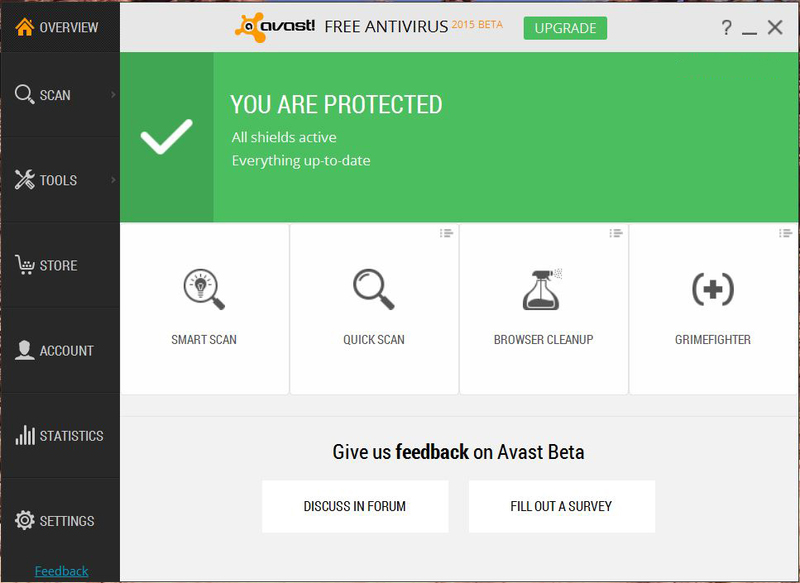 The Avast developers invite you to participate in the Avast 2015 beta test. Your participation gives the team working on the latest versions of the world's most trusted security products a chance to hear your voice – what’s working for you and what is not, how you like the experience, if you see performance or connectivity problems, etc. There are multiple new low-level functions which impact the whole system, so we need your feedback to tune everything for the final release. Avast NG is a hardware-based virtualization solution capable of running each Windows process in a standalone, safe, virtualized environment (VM) which is fully integrated to your desktop. Each process is executed in its own instance of VM, which means it’s totally isolated from other applications. This feature is now powering Avast DeepScreen, resulting in better detection. The technology will also power the Sandbox and SafeZone components in the final release. GrimeFighter will offer free cleaning of junk files and tuning of system settings. These tasks are performed by our Zilch and Torque minions. Home Network Security scans your home network for vulnerabilities like WiFi status, connected devices, and router settings. HTTPS scanning is able to detect and decrypt TLS/SSL protected traffic in our Web-content filtering component. This feature will protect you against viruses coming through HTTPs traffic as well as adding compatibility for SPDY+HTTPS/ HTTP 2.0 traffic. SecureDNS protects against DNS Hijack on router/client including unsecured networks, public ones, etc. This feature is active in the paid versions only. Smart Scan integrates all on-demand scans into one scan with different results and recommendations. Includes Antivirus, Browser plugins, Software updates, Home Network, and GrimeFighter. To learn more about the Avast Beta 2015 , what to test, known issues, and to leave comments, visit the avast! Community forum thread dedicated to the beta test.